We know that Nokia is participating in this year’s edition of MWC in Barcelona, but that it is actually being ready to demonstrate what it got, can be seen from their MWC2019 dedicated page that is now online. This page should help you discover Nokia’s end-to-end approach to 5G and all of the innovative technologies that will shape the world. 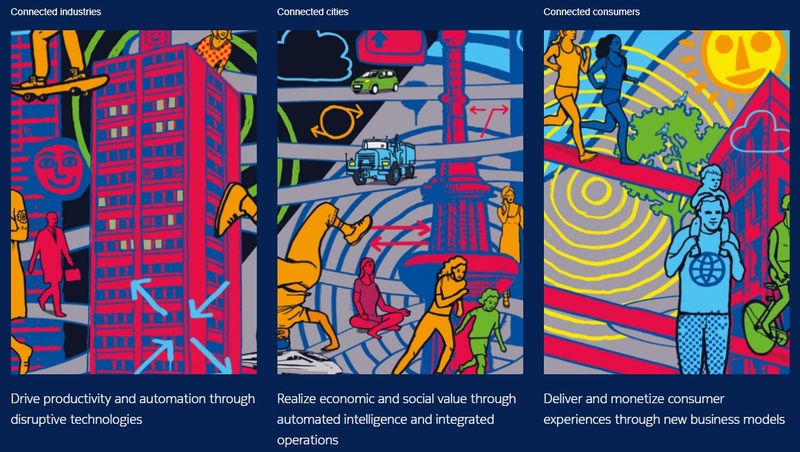 I like this years theme Nokia is using to demonstrate everything that 5G will bring, make better, or connect. It all started with rather nice 5G animation, but when you enter inside it, there is the city doodle full of vivid colors anchored on Nokia blue. Nokia divided its MWC show on the official webpage into three main topics, connected industries, connected cities, and connected customers. Each page directs you to various pdf documents or videos that should bring your mind closer to what Nokia is offering for the 5G future. Some things like Nokia WiFi or cute autonomous car Juto are missing, but that doesn’t mean those products won’t be presented at MWC. Nokia rented a huge space in Hall 3, so I believe there will be many interesting things to see, like always. I’m looking forward to finding out what Nokia has to offer to the world at the brink of the fourth industrial revolution. Also, HMD is quite close to Nokia’s space, so if you are at the MWC19, check Nokia phones too.